Sign-up for A Quarterly Newsletter and Weekly Wisdom! Serving the local church and the people who lead it. Families have loads of fun and interesting stories. Life is about change. That change is critical to both your success and well-being. Often, the tension in change is to know what needs to be changed and what needs to remain the same. Additionally, much of what we’ve seen about life change involves stress, drama, and distraction. The spiritual, emotional, mental, and professional intensity of change – the process of reinvention and transition – requires skill, awareness, maturity, and wisdom. What you should change is closely connected to your life purpose and pursuing that purpose is a process that must be navigated with great understanding. Because our life purpose isn’t a decision but a process of discovery, we also discover that much of our purpose is revealed through both memories and missteps. Redeeming the value of these moments is critical to your personal, professional, and relational success. 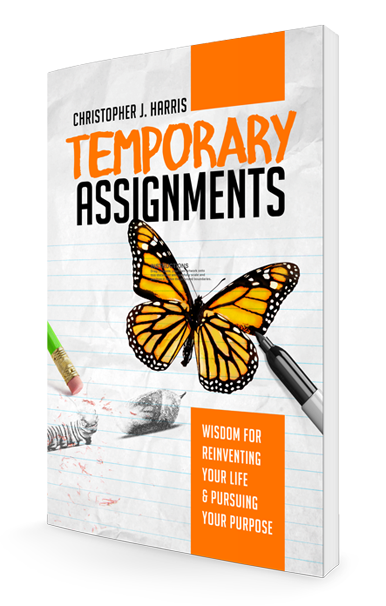 Many of today’s available life change and personal reinvention resources are long on encouragement and motivation, but short on practical insight and wisdom, with real life stories of personal reinvention, that’s all based on scripture. Using the life of the Apostle Peter as a reference, this resource aims to be that bridge of inspiration, information, and transformation. Embracing change, transition and reinvention. Inspiring young ministers for healthy long term ministry. Follow @ cjharrisone for daily wisdom. Follow @cjharrisone for daily wisdom! Get a regular dose of inspiration, wisdom, and coaching directly in your inbox. We have a FREE gift for you and would love to send it to you!